Benjamin Franklin said, “in this life nothing can be said to be certain, except death and taxes.” This post is dedicated to you, reader, because I know that there is no way to be immune from death. Ben Franklin said so. Today I would like to describe to you what MY DAD has called the piñata effect. After a death there are a lot of details. Then there is the funeral and the mourning period (clearly prescribed in Jewish tradition), and then it is over. Each mourner has to figure out how to live again. No three people do this the same (case in point; MY DAD, THE DIVA, and I). After a period of time (usually weeks, it is too hard to count months at the beginning) sometimes it is possible to go through extended periods in the day and not remember that your loved one died. Then all of a sudden. BAM. Someone walks by wearing a similar perfume. You think you heard that laugh that you wish would sear in your memory, you think of a funny thing to tell the deceased and you remember you cannot. MY DAD calls this the piñata effect. You, the mourner are the piñata and the reality of life is what hits when you least expect it. At first these hits happen constantly, at least once every hour. Slowly they start to occur less. At times after the BAM I would cry, I might get quiet and reflect, I might get angry, it was often associated with a change in mood. Last week while in Austin with my family for Thanksgiving I was the piñata and I got smacked with a memory. We were hanging out at home (my aunt and uncle’s home, I don’t have a secret house in Austin) and the TV was on. For reasons unbeknownst to me, the pre-recorded Bette Midler concert was turned on the television. MY MOM loved Bette Midler. She and MY DAD went to her concert in Las Vegas. MY MOM took THE DIVA and I to see Bette Midler, when she was young THE DIVA wanted to be Bette Midler, and we’re Jewish people we just love Bette Midler. All of a sudden Bette stopped doing her comedy shtick and all of a sudden she starts singing “The Rose.” BAM. There were tears seemingly out of nowhere and I descended into a funk. When THE DIVA arrived in town and came to say goodnight (isn’t she a good sister?) she asked what happened (my eyes were red) and I told her and she said, “No no no no. 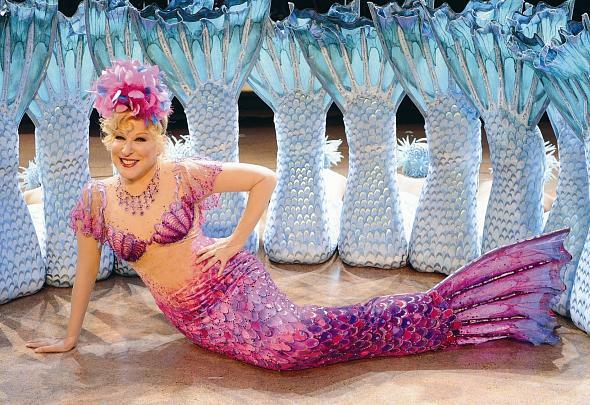 There is no Bette Midler. Too sad!” There you have it. The piñata effect. Bette, if you are reading this do not take it personally. I will go to your concerts and maybe even listen to your music I just might be a bawling mess or I might be completely fine. If you want, I will still come to your concerts and if you ever need any spiritual counseling, I’m available. MY MOM would be really proud. Be warned you will be the piñata and you will get hit. So my advise is to keep living and loving every moment so that you can have lots of those hits because those memories are what we get to hang onto forever. This entry was posted in bagels, family, memories. Bookmark the permalink. This is a great post, Ellie, and a great analogy. I still feel like I should be picking up the phone to call my grandfather every now and again, and taking his name off my holiday card list a year ago set me off big time. I know your mom would be happy knowing you love the things she loved, and I hope some day they’ll bring you more comfort than tears. That was far and away the best, most beautiful blog ever!